HABU is an ambidextrous charging handle that packs some serious advantages despite its unassuming appearance. HABU replaces the common t-shaped-pull with a molded handle that operates like a semiautomatic pistol slide. Simply slap (or rack) the HABU to the rear and release. That’s it. The contoured handle also serves as a cheek riser, providing a comfortable rest while aiming. 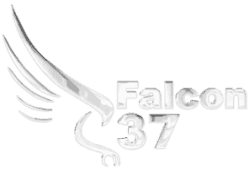 All components are made in the USA for Falcon 37 by the Rogers Division of the Safariland Group and Nordic Components Inc. 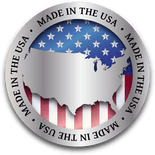 The charging rod is machined from 7076-T6 aluminum and finished with a black matte black hard coat (according to specification: MIL-A-8625A Type 3 Class 2). The upper / cheek rest is an 80/18 glass polymer, which is the same Glock material familiar to many. I purchased my HABU from Safariland as part of an AR furniture kit that included the Rogers Collapsible stock. Two seconds after it arrived someone (I won’t name names, but she’s four and lives at my house) thought it would be a good idea to abscond with the assembly screws. I contacted Safariland, explaining that it wasn’t missing in the shipment; I lost the screws. They sent replacements via US Priority mail, and I was back in business. Neither Falcon 37 nor Safariland knew I was writing a review. Yet they treated me like an A-list customer just because I had an issue. I can attest that not all companies are this responsive or accommodating. Enthusiasts of the AR-10 platform can also join in the HABU fun. Falcon 37 also offers the Mod 2 version, which works on any AR-10 with 7.62/.308/6.5 Creedmoor bolt carrier group. Installation was simple. I replaced the original charging handle with the aluminum HABU and choose the appropriate depth option for the cheek riser (two are pre-drilled), and affixed it with two machine screws. Done. After using the HABU at the range, I found some things I like. Here are the highlights. Many law enforcement and military operators and instructors are recommending this upgrade. When people with an unlimited budget and life-and-death missions swear by a product, it is worth paying attention. Fortunately for enthusiasts, the HABU is priced in line with other after-market handles, and easy-peasy to install. If you’re in the market for a new charging handle, I strongly recommend the HABU from Falcon 37. About the author: Garrett Haines is a freelance journalist from Pennsylvania. Sign up to get the latest on sales, new releases and much more.